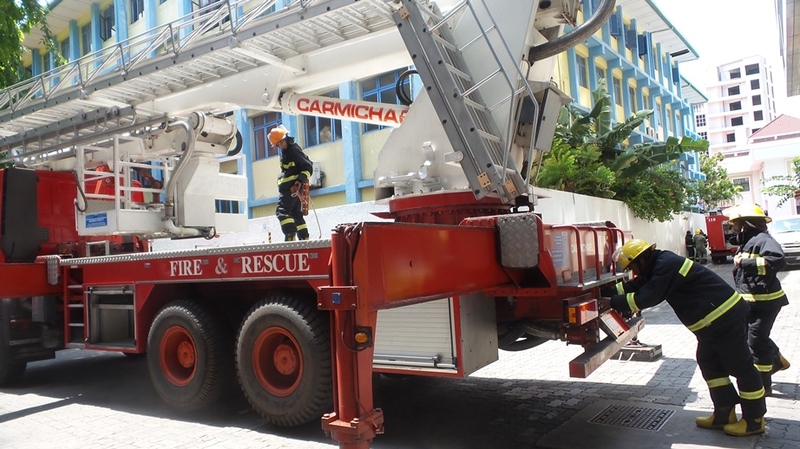 Hotel Jen Malé Maldives carries out a great Fire evacuation drill in the Maldives in collaboration with Maldives National Defense Force Fire and Rescue department and Maldives Police Services. Malé, Maldives March 2016: A member of the Shangri-La Hotel group, Hotel Jen Malé, Maldives prides itself in embracing safety and security at top priority at all times. 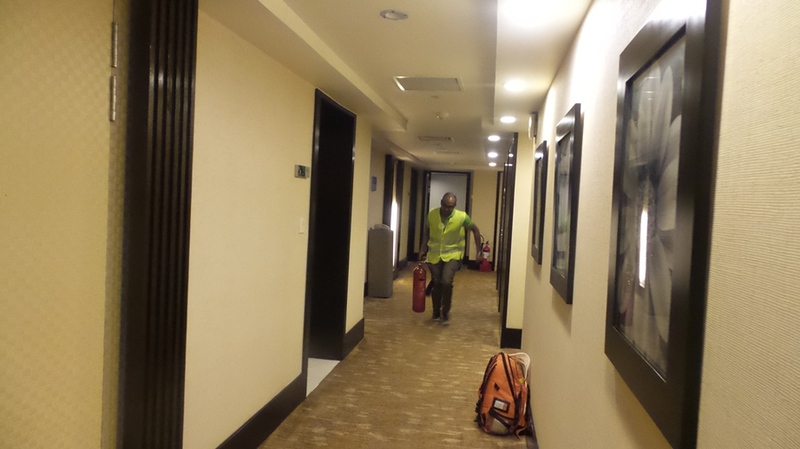 And in ensuring this is always at its best, frequent drills are carried out by hotel Chief Security and Fire Life Safety Manager, Christopher Rodrigoe with hotel management team to ensure hotel staff are well-trained in handling emergencies and all safety and security related equipment are in excellent condition. 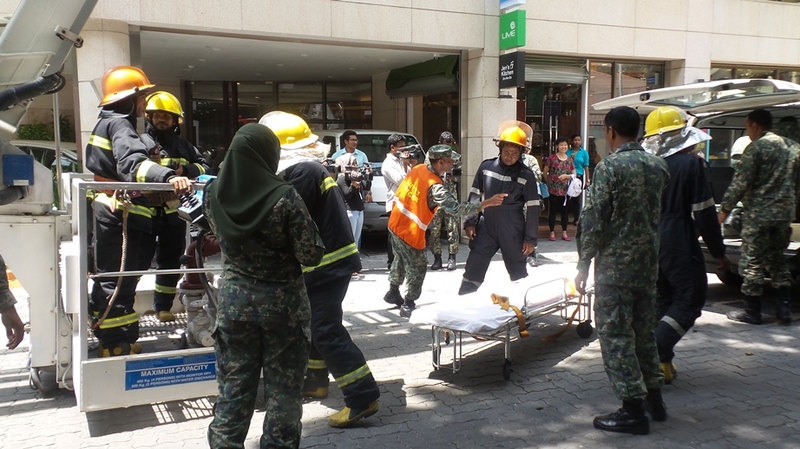 Hotel Jen and Maldives National Defense Force (MNDF) with their Fire & rescue department jointly undertook a full evacuation drill at the hotel. On 19th March at 9.00am, Hotel Jen’s fire alarm went off ringing persistently and hotel’s Emergency Response Team (ERT) went into prompt action. Situation escalated and an evacuation was called out in the hotel’s public address (PA) system. Hotel fire wardens quickly stepped in and took over the evacuation process on hotel guests and staff who were led out of hotel emergency exits to the designated assembly point at Dharumavantha School effectively. 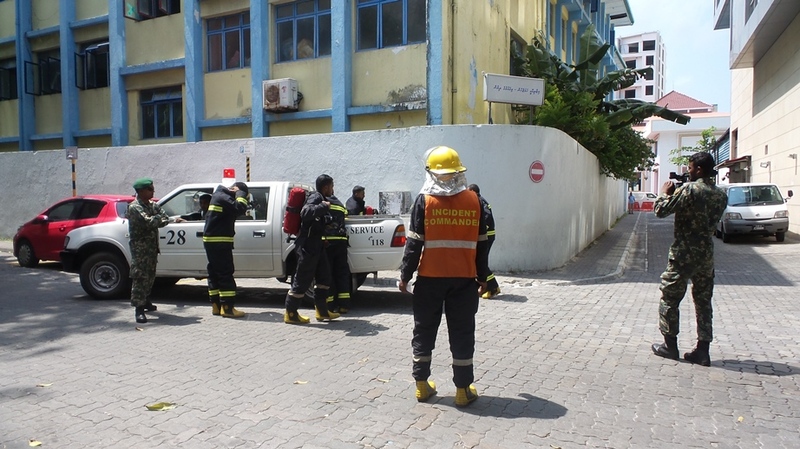 Whilst evacuation is in progress, fire trucks with sirens arrived and members of the MNDF Fire & Rescue department took over the situation at the hotel. 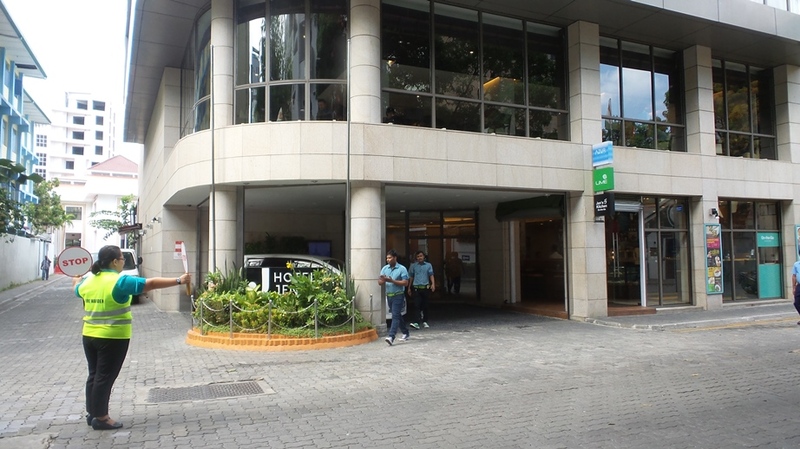 The hotel vicinity was abuzz with activity as passersby started gathering curiously watching what was going on. 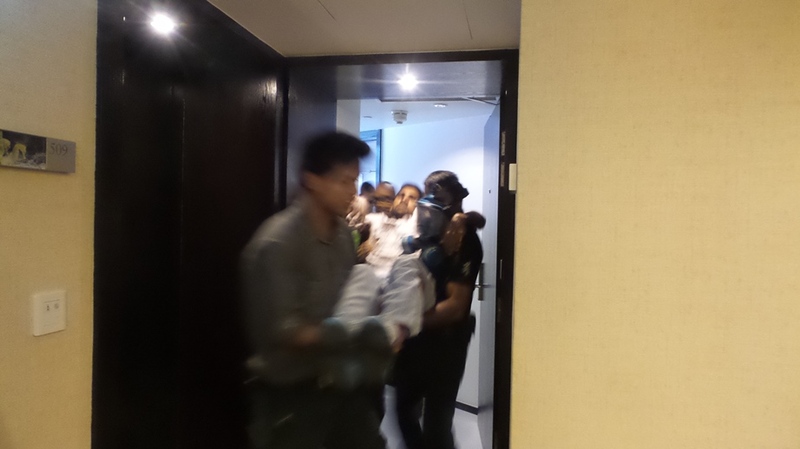 A “guest” was found trapped on the 6th floor of hotel and MNDF personnel quickly actioned a rescue operation! 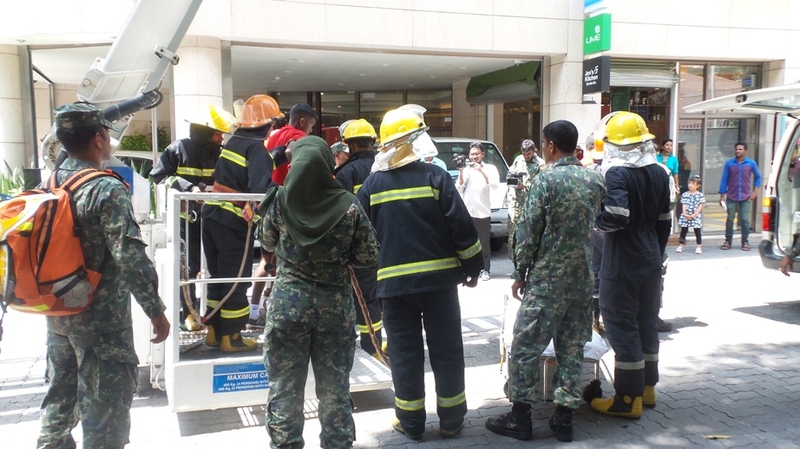 Within minutes the city’s tallest fire-elevator (30m) was deployed and the “guest” was safely lifted from the balcony and brought down to safety whereby medical personnel took over and quickly rushed the “guest” to the hospital in the standby ambulance. Whilst at the assembly point, hotel Crisis Management Team was taking charge by roll-calling and ascertaining everyone from the hotel has been accounted for and no one was left behind. A quick assessment was carried to ensure those “injured” and “traumatized” were given appropriate assistance. The total evacuation drill took approximately one and half hour. Hotel Chief Security and Fire Life Safety Manager, Christopher Rodrigoe thanked Colonial Abdulla Zuhury commanding officer of Fire Department and Captain Nadheem Mohamed for their support in executing and evaluation this drill and also the media for their participation today. Christopher hoped with media involvement, the awareness and importance of safety drills and the role of MNDF in ensuring safety and security of the capital city can be shared to all. 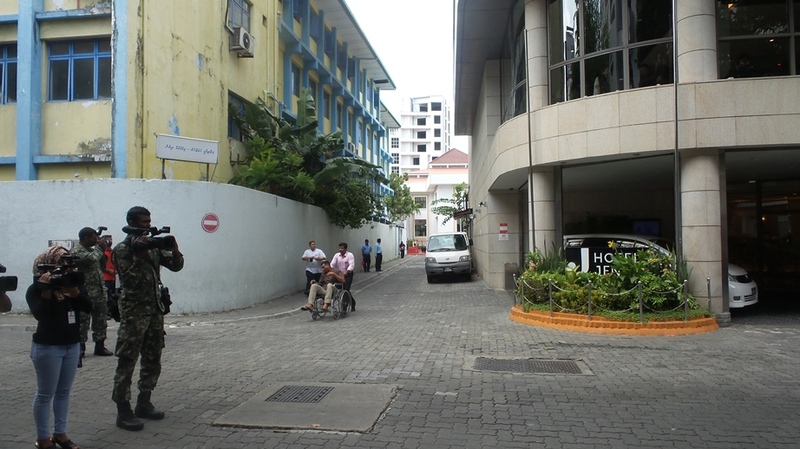 A total of 40 MNDF personnel, 45 hotel staff & 5 hotel guests took part in this evacuation exercise. Hotel Jen is a diverse collection of hotels in the best locations across Asia Pacific, with a unique brand of style and service delivery designed to appeal to a ‘New Jeneration’ of travelers. To guests, Hotel Jen delivers quality, comfort, convenience and value with a twist. Jen cares about what really matters to guests – the important things done well; comfortable rooms and honest authentic service; respect, privacy and efficiency served without fuss or intrusion; cultural insights; interesting experiences; and fast, free WiFi everywhere, always. Jen is a lover of life, fun, adventure and discovery, and wanted a Chinese name to reflect that. ‘Jin’ (today) is about the importance of living every day to its fullest, in the moment, and Lü (travel) represents the idea that life is about exploring new cultures, experiences and ways of being you.